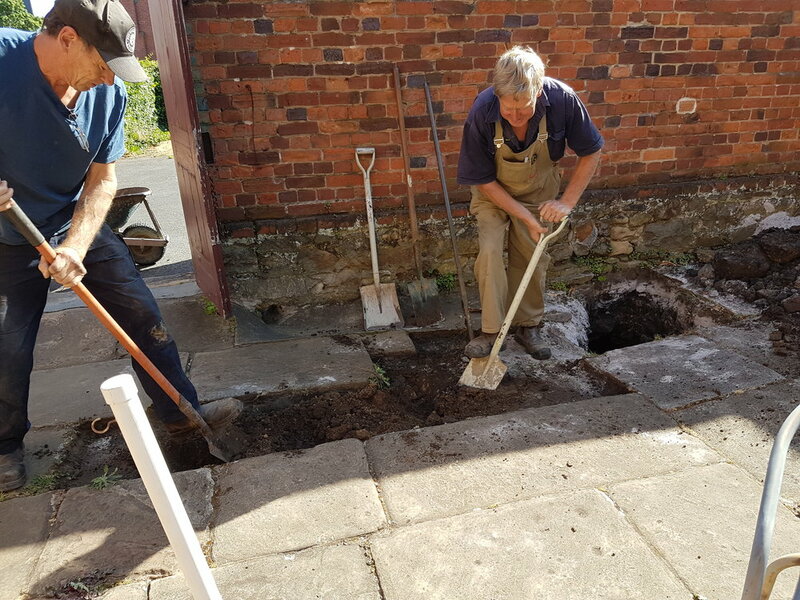 Narryna’s back of house areas are currently a building site as we extend and refit our outbuildings so they can better support our school education programs, museum programs and commercial events. The infrastructure will help us to expand our audiences and build in secure revenue streams to ensure that Narryna is viable for future generations. - Commissioning a split paling fence as the boundary between the kitchen garden and a slightly expanded car park. Gates in the fence will allow the car park area to be used for events on weekends. This project has been made possible through a package of grant funding with the Tasmanian Community Fund and Federal Government Stronger Communities program as principal sponsors. Following a prolonged Council planning and approvals process, builder Greg Edwards’ program started with largely invisible but essential work such as plumbing, electricals and cement slab floors. Lately the walls of the Tasmanian Community Fund-sponsored WC block and events equipment store have started to rise and so the project is truly ‘out of the ground’.